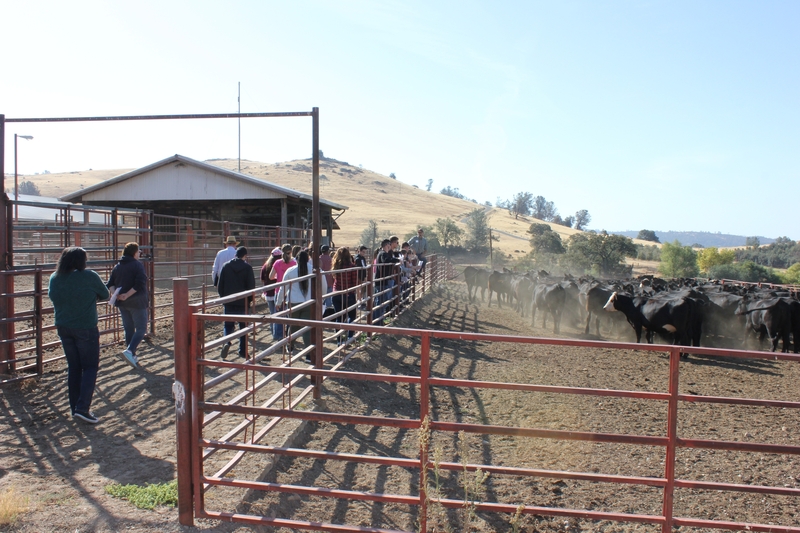 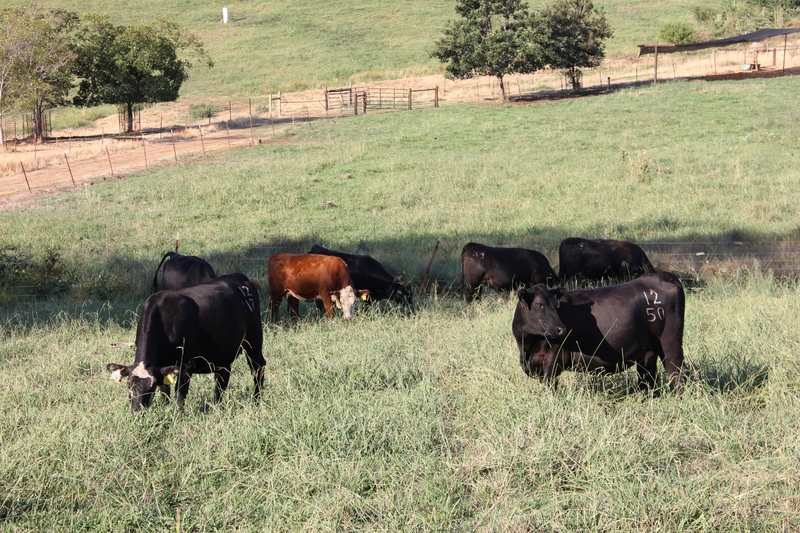 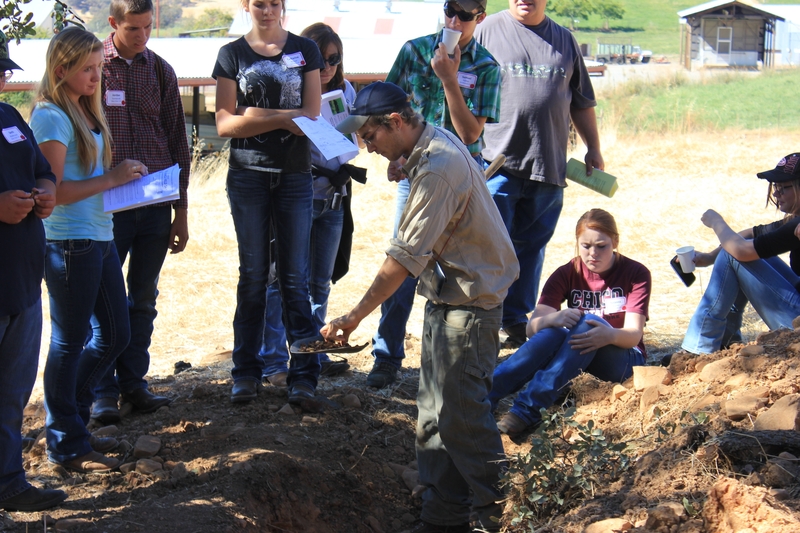 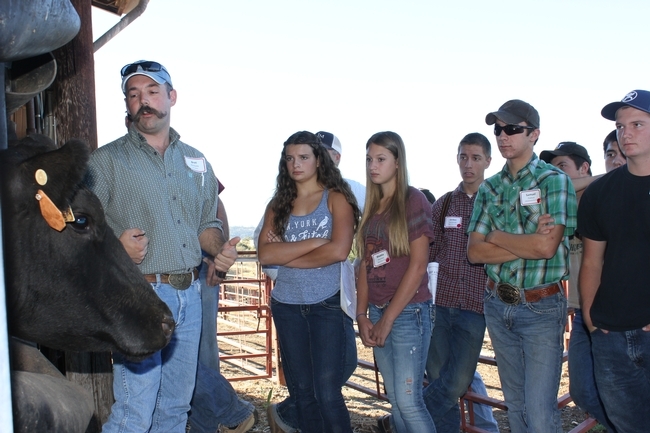 The Beef and Range Field Day held on October 8, 2014 gave local high school students an opportunity to interact with farm advisors, veterinarians and researchers in order to learn about some of the practical applications of beef cattle production. 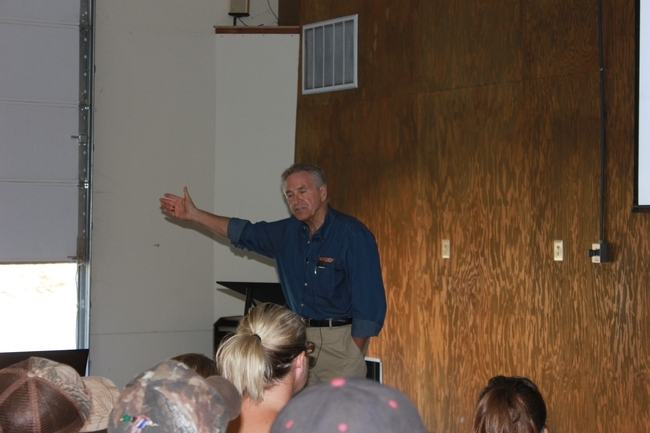 California Senator, Jim Nielsen took time out of his busy schedule to speak with the students about the pressing issues currently facing California agriculture. He challenged his audience to step up and be in leaders for an industry that will most certainly need their support in the future. 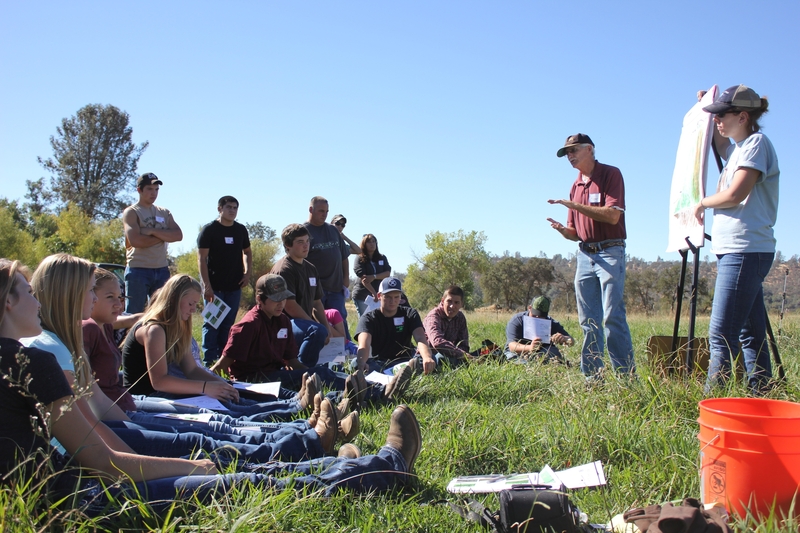 We would like to offer our sincere thanks to Senator Nielsen for the support he has continuously given to agriculture education and for his dedication to those currently involved in agriculture. 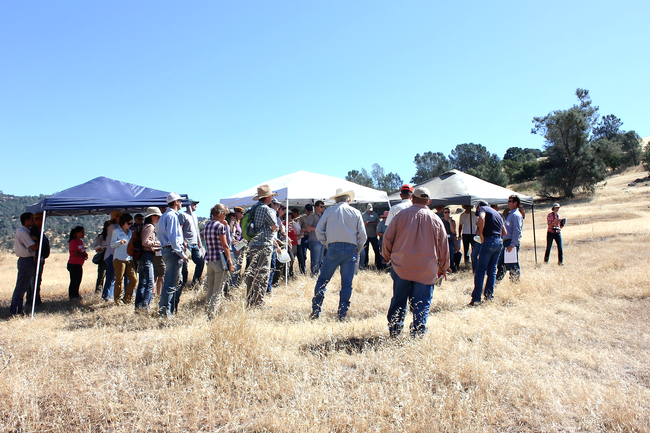 The 1st Annual Beef & Range Field Day, hosted by SFREC was a great success. 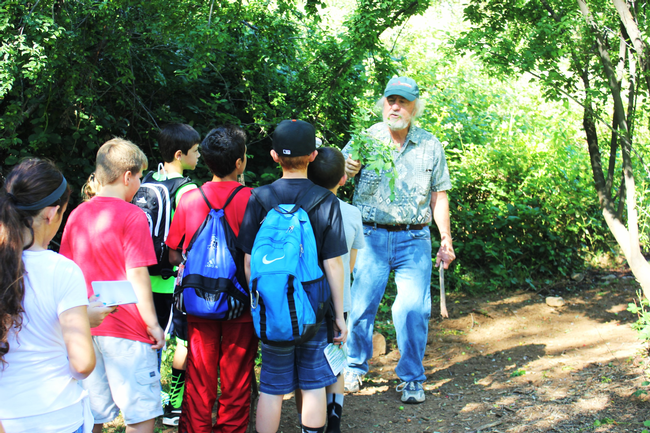 Over 120 students from 4-H and FFA programs in Butte, Nevada, Placer, Yuba and Sutter Counties participated to learn about livestock production and natural resource management. 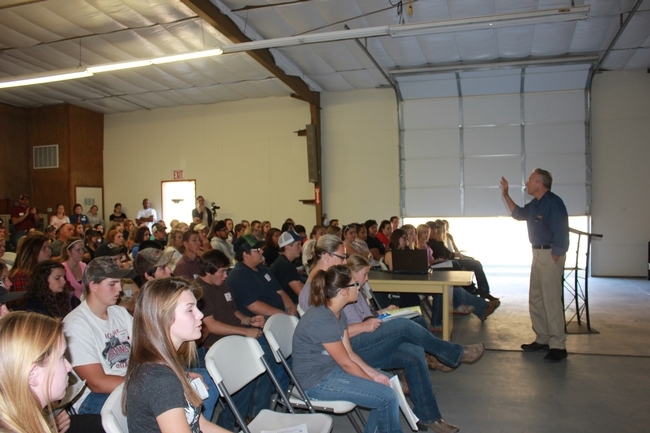 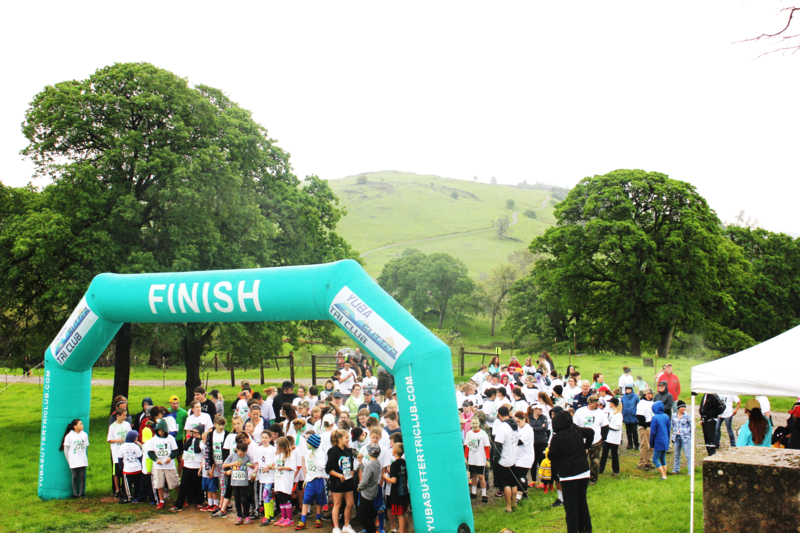 The event kicked off with an inspirational address from California State Senator, Jim Nielsen, who applauded students for taking an interest in agriculture and encouraged each of them to actively support agriculture and food production in their future endeavors. 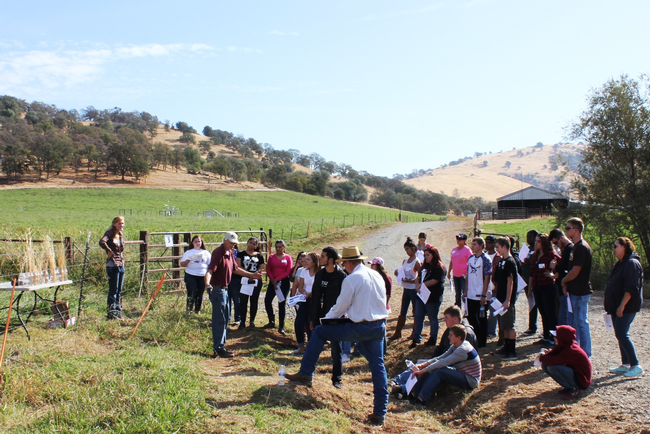 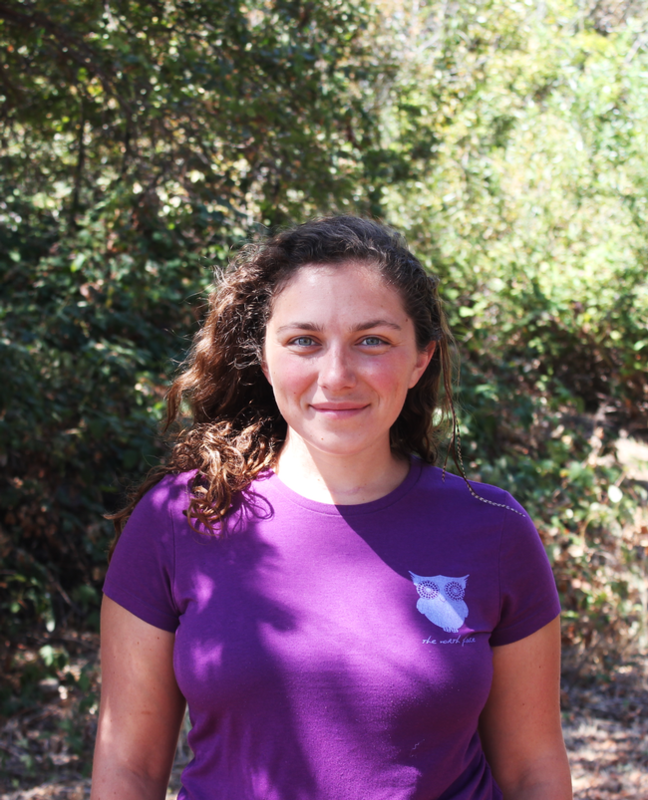 UCCE Livestock & Natural Resource Advisor, that highlighted the factors that can impact water quality. 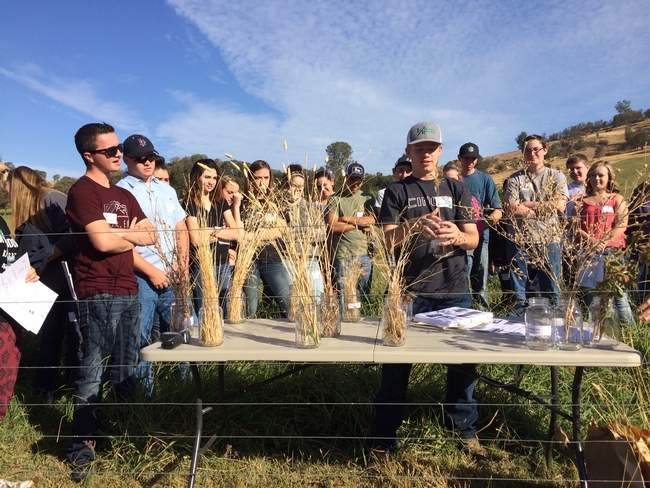 While discussing pasture management techniques, Roger Ingram, UCCE County Director, engaged students in an exercise to calculate the stocking rate of specific pastures. Finally, Andrew Brown of the UC Davis Soils and Biogeochemistry program talked to attendees about the importance of soil and the factors that can impact soil quality. 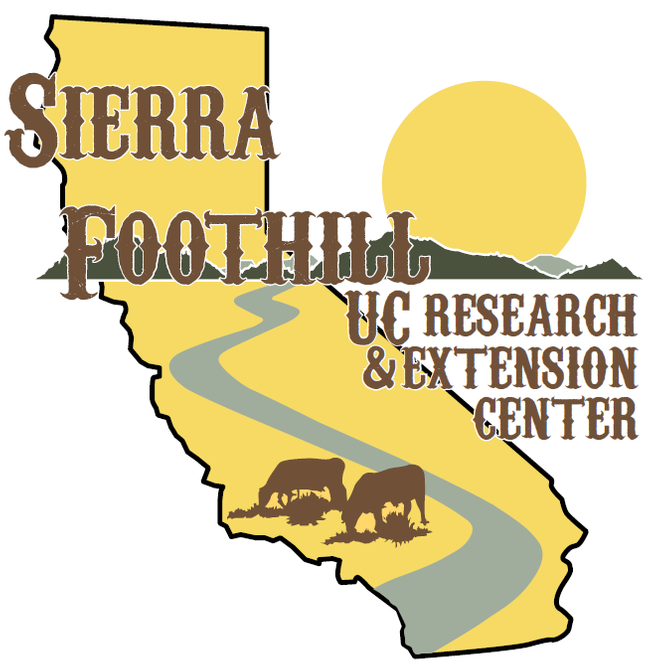 SFREC would like to sincerely thank the presenters and volunteers who helped to make this event such an outstanding learning opportunity for local high school students.